Part of the major work for 1.0 is getting the player models to hold their guns correctly, and Dual Gatling Guns is at the top of the list. Not only is it really necessary to see how many gats someone is carrying, we think it's totally badass as well. Sarge and Mynx already got the treatment for internal testing, but most of this had to wait until all the weapon models were done so the frames could match up and all the animation could be done at once. We'll be adding each Generation in one at a time and posting some teaser shots as we go. 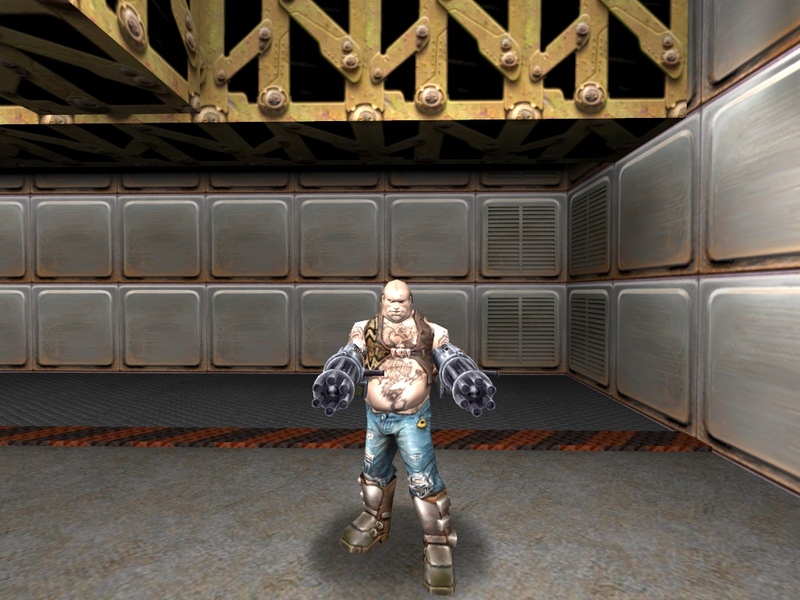 Biker looks properly balanced between the dual gats and his big gut. I'm really impressed by the dedication and hard work that is shown here. It's quite amazing that after so many years in development, there is still a steady stream of quality updates being pumped out for Generations Arena. Good luck on the remaining work for 1.0! I'll keep it coming. Thanks all!